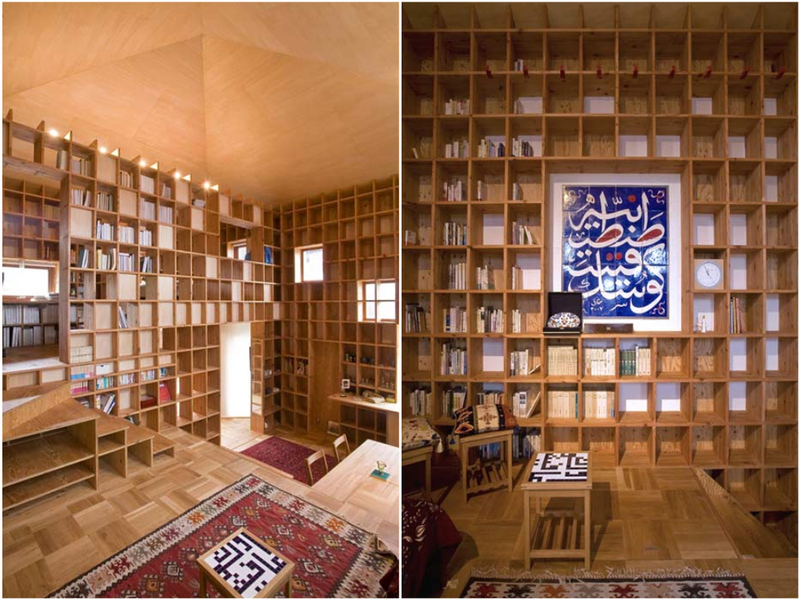 This house by Kazuya Morita Architecture Studio in Osaka Prefecture, Japan, is completely lined with pine shelves to display the owners’ extensive collection of books. 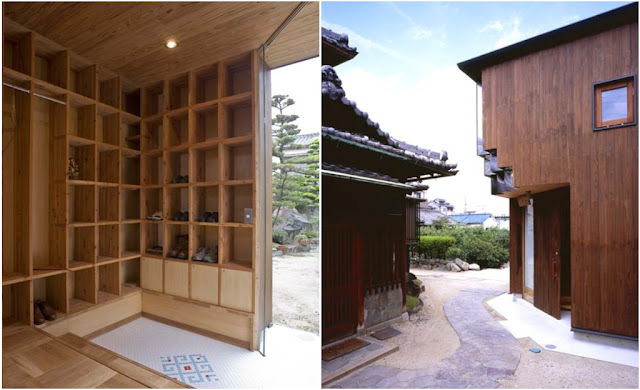 "Shelf-Pod is a private residence located in Moriguchi City, Japan. 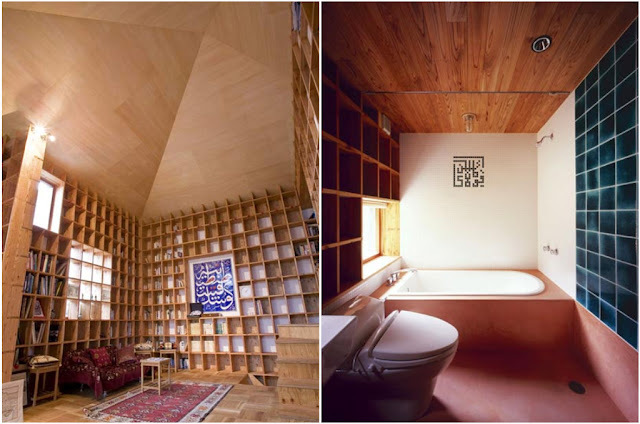 The client owns an extensive collection of books on the subject of Islamic history, so he requested us to design this architecture not only for living, but would have the maximum capacity for its storage and exhibition. In order to satisfy this demand effectively, we designed a lattice structure made from 25mm thick laminated pine-board what serves as book-shelve. The dimensions of each shelf are as follows: 360mm height, 300mm width and 300mm depth. All of the architectural elements in this space (stairs, windows, desks, chairs, etc) have been designed on the basis of this shelf scale, with the aim of achieving geometrical harmony that is comparable to Islamic Architecture. This innovative structural system affords not only large amount of book storage, but the possibility of flexible floor level which is delivered from height of bookshelf. Each space for different activity rise up helically, giving the impression of exploring a wooden jungle gym. The original image of this structure is derived from the Japanese woodcraft of Kumiko. The structural integrity against the earthquake is provided by a panel of plywood board nailed on the shelf. Initially, the horizontal resistant force guaranteed by the panels was examined in a real-scale model. Further to this, an analysis of the whole structure was performed in order to determine the placement of the windows and panels."